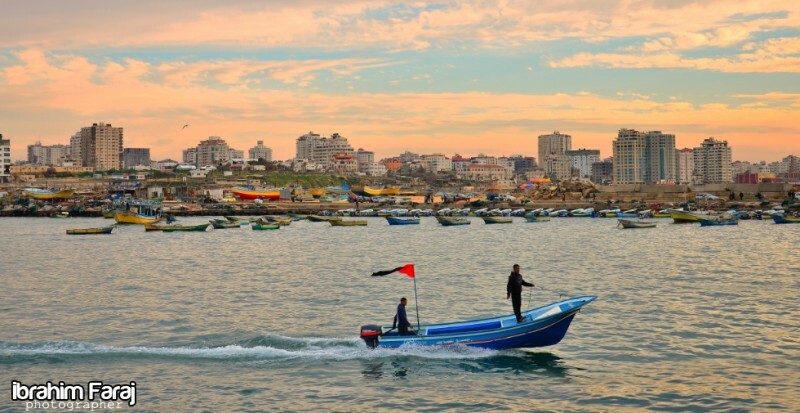 Gaza city, one of the oldest cities in the world, has gained great importance as a result of its geographical location as a confluence of both continents; Asia and Africa. Its prestigious location granted Gaza a high military and strategic status. Gaza city is considered that largest city in the state of Palestine with a population of 515,556. It has been dominated by several different people and empires throughout history. The Philistines made it a part of their pentapolis after the Ancient Egyptians had ruled it for nearly 350 years. It was also ruled by the Romans and later the Byzantines. The population of Gaza is overwhelmingly composed of Muslims, who mostly follow Sunni Islam. During the Fatimid period, Shia Islam was dominant in Gaza, but after Saladin conquered the city in 1187, he promoted a strictly Sunni religious and educational policy, which at the time was instrumental in uniting his Arab and Turkish soldiers. Gaza is home to a small Palestinian Christian minority of about 3,500 people. The majorities live in the Zaytun Quarter of the Old City and belong to the Greek Orthodox, Roman Catholic, and Baptist denominations. In 1906 there were about 750 Christians, of whom 700 were Orthodox and 50 were Roman Catholic. The Gaza Strip is situated on a relatively flat coastal plain. Temperatures average in the mid-50s F (about 13 °C) in the winter and in the upper 70s to low 80s F (mid- to upper 20s C) in summer. The area receives an average of about 12 inches (300 mm) of precipitation annually.